Violence against Christians has become all too frequent in recent years, with attacks on them in a wide variety of countries in Africa, Asia, and the Middle East. 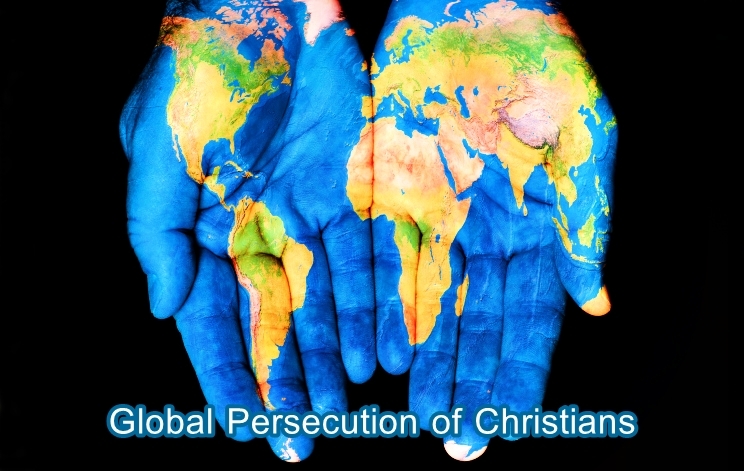 Repression and intolerance have been displayed against the Christian community in Nigeria; against the Coptic Christians in Alexandria, Egypt ; by bombing in a chapel in Sulu, Philippines; by bomb arracks against Assyrian Christians in Iraq; by discrimination against them in the Islamic Republic of Iraq; by prosecution under the blasphemy laws in Pakistan and elsewhere. It was the interruption and disruption by force of the celebration of Christian Mass in the villages of Rizokarpaso and Ayia Triada in northern Cyprus that led the European Parliament in a resolution on January 19, 2011 to comment on the situation of Christians in the context of freedom of religion. Since the “Arab Spring,” thousands of Christians have fled the countries of the Middle East except Israel. Christian communities have existed for two thousand years in the Middle East, though they are now declining as a result of low birth rates and emigration caused by discrimination and persecution in most of the Arab and Muslim countries in the area. The case of northern Cyprus is a recent example of that discrimination and intolerance towards a Christian community. The disruption of the Christian liturgy in the two villages was, as admitted by the World Council of Churches at the time, a flagrant violation of fundamental freedoms and human rights, the freedom of religion and belief, as guaranteed in Article 18 of the Universal Declaration of Human Rights and in other international declarations, including the 1981 United Nations Declaration on the Elimination of all Forms of Intolerance and Discrimination based on Religion and Belief. The area of Cyprus had been ruled administratively as a protectorate by Britain from 1878 until August 1960, when it become an independent country. An international treaty guaranteed the territorial integrity and sovereignty of Cyprus. But political crises and violence between the Greek and Turkish communities continued. As a result, the U.N. Security Council set up in March 1964 the U.N. Peacekeeping Force (UNFICYP), originally to prevent further fighting between the two communities. In the absence of a political solution of the Cyprus problem, the force, now consisting of 925 uniformed personnel, and 140 international and local staff, has remained in existence to supervise ceasefire lines, maintain a buffer zone between the two sides, and undertake humanitarian activities. Despite the presence of UNFICYP in 1974, the Turkish army invaded the island, ostensibly to restore “constitutional order,” after the Greek military had attempted a coup to unite Cyprus with Greece. Though there was a de facto ceasefire in August 1974, the Turkish aggression remained. The Turks never withdrew and occupied about a third of the island. In November 1983, the Turkish Republic of Northern Cyprus was established under the leadership of Rauf Denktash, who remained president until 2005. It had a population of 180,000, of whom about 100,000 came as colonialists from Anatolia, the Turkish mainland. The U.N. condemned the Republic as “legally invalid” and called on states not to recognize it. None has done so except Turkey. The town of Nicosia is still divided, with a “Green Line,” into two parts, each being the capital of one of the two regimes. It is the only divided capital in the world. With the establishment of the Turkish Republic of Northern Cyprus, the 200,000 Greek Christian Cypriots in the north escaped or were deported to the south. The village of Rizokarpaso, where the Christian Mass was prevented, once had a population of 3,000; now it has few Christians. The Turkish Republic has epitomized qualities of ethnic cleansing, disproportionate use of force, vandalism, religious intolerance, repression, and persecution. The Christian community in the north has dwindled to about 450. Restrictions have been put on Christian practices, as has access to religious sites and places of worship. In spite of international calls for the Turks to stop desecrating and destroying Christian properties, demolitions of churches have occurred, including in May 2011 the 200-year-old one in the village of Vokolida. In all, at least 530 churches have been damaged, vandalized, or destroyed. Some have been converted to military storage facilities, stables, casinos, or nightclubs; 78 have been transformed into mosques. The Orthodox Church has been refused permission to restore Christian monuments. One calculation estimates that 60,000 relics, icons, and mosaics from ancient Byzantine have been stolen. Some were found in the Getty Museum in Malibu before a U.S. court ruled that they belonged to the Christian Church. Only since 2003 have the Greek Christians been allowed to cross the border into the north and see the destruction of their heritage. One wonders if Turkish Prime Minister Erdoğan and the leaders of the Turkish Republic of Northern Cyprus by their intolerant persecution of the Greek Christians are pursuing a policy of revenge. 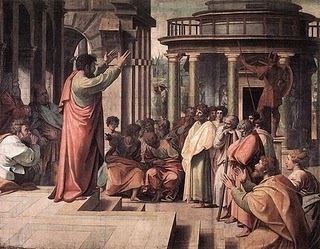 After all, it was from the town of Seleucia, on the Tigris, later burned by the Roman military, that Paul sailed to Cyprus on his first journey to convert the population to Christianity (Acts of the Apostles, chapter 13), and it was from Cyprus that the early Christians set out to proselytize the Greeks of Antioch.